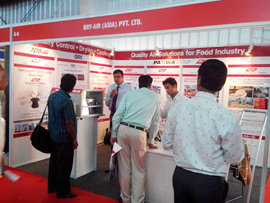 Bry-Air participated in India Foodex 2015 from 21~23 August at BIEC, Bangalore, India. Compact Dehumidifier (FFB Series) was displayed at the stall. 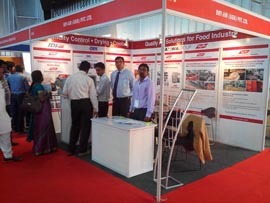 India Foodex is an international exhibition on Food Products, Processing & Packaging Machines and Allied industry. Visitors interacted with our airgineers to understand the requirement of humidity control during various Food Processing & Packaging processes.